One of the areas in nursing school I often find students (and many staff nurses) continually confused is regarding end of life decisions, DNR, and now allow natural death. Although state laws typically dictate who and when these decisions can be made, there are few “constants” that are true across state lines. We have to feel comfortable about the topic first – if we are not comfortable with the reality of death, then we certainly won’t feel comfortable talking with our patients. Unfortunately, in our American society, we don’t like to admit that no one has evaded death. It is taboo and considered impolite. We have to start with our own thoughts and feelings about the topic before we help others. Every decision starts with a conversation – we can’t be afraid to discuss end of life decisions with people. As time goes on, it becomes even harder to broach the topic, especially with our loved ones. Asking about a patient’s code status starts the conversations, opens the door and allows them a safe place to ask questions. The conversation is CRUCIAL! It doesn’t matter what paper is filled out if the person appointed can not carry out the wishes – this is why the conversation is so crucial. If the person a patient (or yourself) wishes to appoint to make medical decisions for you can not fulfill them, then they are not the right person. When push comes to shove, they will override your decisions “on paper” and the law will support them. As one wise intensivist once said, “Its not the person in the grave who will come back to complain or sue us, it’s the person who is left to make the decisions.” Sadly, I have repeatedly seen patien’s advanced directives not honored. However, on the flip side, I have witnessed great bravery among family members who upheld their loved ones’ decisions, even though they did not agree. Families at the end of life need huge support – again, we can’t let our wishes become their wishes, as hard as that is sometimes. As the nurse at the bedside, we witness horrific suffering and often are powerless to do anything about it, except follow their wishes. Again, these families still need our support, not alienation. And for those brave family members who struggle with saying good-bye, that same wise intensivist taught me these great words of support for families, “You are not speaking for them, they have already made their wishes known and you are just letting us know. This is not your decision, it is their decision. Thank you for honoring their last wishes.” No one wants to go home with the burden of “pulling the plug” when in reality, they didn’t. Help them see that. Please talk to your family – let YOUR wishes be known – April 16 is designated as National Healthcare Decision Day. This is a day to start the conversation – decide who will speak for you when you are not able! But don’t wait until the, start the conversation now – it’s one of the most loving things you can do! You can learn more about advanced directives here. I could go on and on about this topic – I am very passionate about it. But, I write this with a sad heart tonight as my dear friend sits by her father’s side in hospice. Thankfully, they were brave. They had those tough conversations, but it is still not easy saying good bye. However, some of the pain is blunted knowing they honored their father’s wishes – they had the conversation. So, don’t delay. No day is promised. However, do the loving thing and make those decisions for yourself so your family isn’t stuck wondering what you would have wanted…. 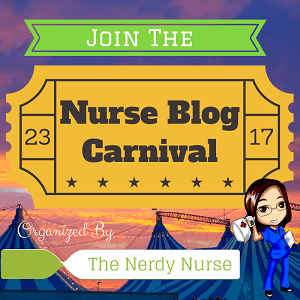 Learning Tools, Patient Education, Student Nurses End of life, healthcare, Nurses, Nursing, nursing school, patient care, patient teaching. permalink. Can’t add a thing to the points you made. Families need us to support them on their journey of letting go. Absolutely! Sometimes it is the most vulnerable part of job, but so important! Thanks for stopping by! So true!! They are the ones’ who are have to sleep at night knowing they made the right choices. Thanks for the comment and taking the time to stop by! This is a great post. I agree with everything you say, particularly about us as healthcare providers getting more comfortable with our own hesitation to have these conversations. You also emphasize a very important point that people need to select a proxy that can carry out their wishes – even if they don’t agree with it. Much easier said than done. Your point of helping families understand that they didn’t pull the plug is essential, particularly when they are following the patient’s wishes. Thank you for your kind words. It definitely is not an easy topic to discuss, especially if you are uncomfortable with the topic yourself. Thanks for visiting & being a part of the conversation! Thanks for sharing. I like that you remind us to be comfortable about the topic first. Many nurses are not comfortable talking about death and dying. This is so inspiring. Thanks for the post!